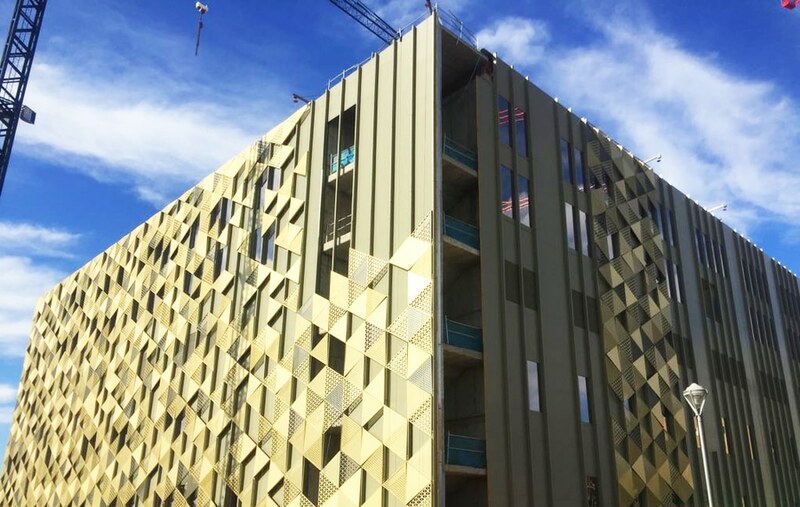 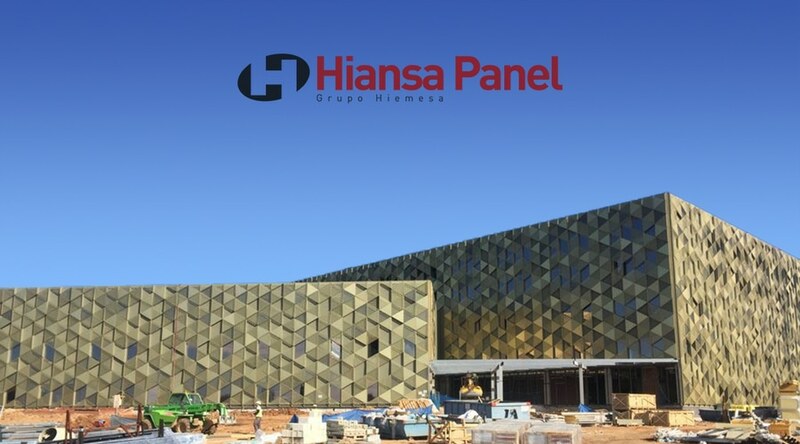 Hiansa Panel supplies the facade sandwich panels for this emblematic building. 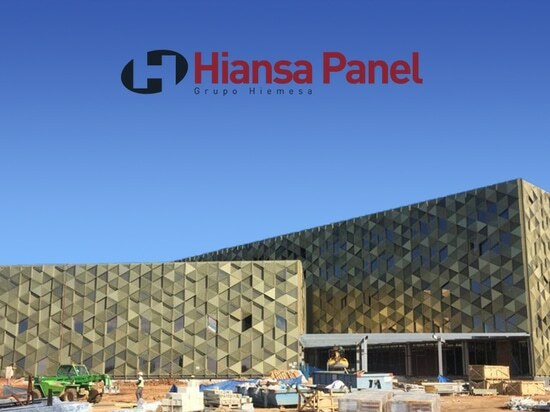 Hiansa Panel, a company of the Hiemesa Group, supplied the panels for the execution of the façades of the new Quirón Hospital in the city of Córdoba. 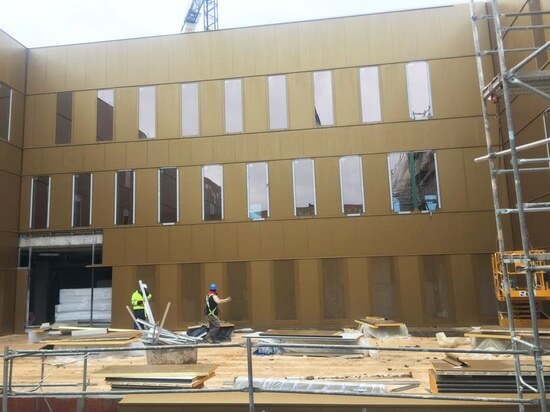 The work consists of exterior facades, where Strunor is currently assembling the Facade Panel. 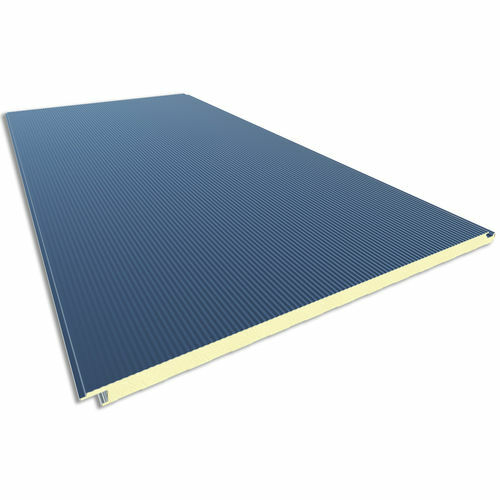 Microperfilado of 60 mm of thickness and core isolated in the base of foam. 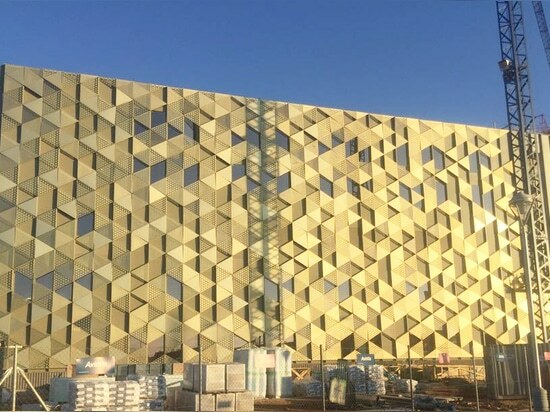 PHIRE with a reaction to fire Bs2d0 according to UNE-13501-1. 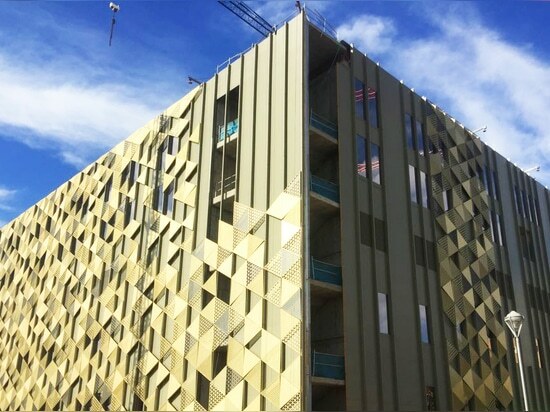 In addition, this panel has been made with variable widths of 1,100, 1,000 and 900mm. 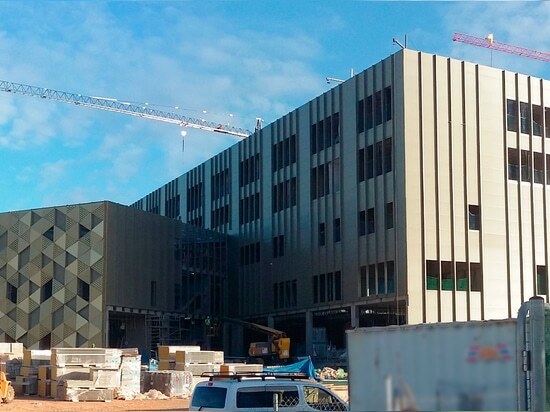 to be able to adapt to the demanding design of the façade project and for a total area of ​​4,800 m². 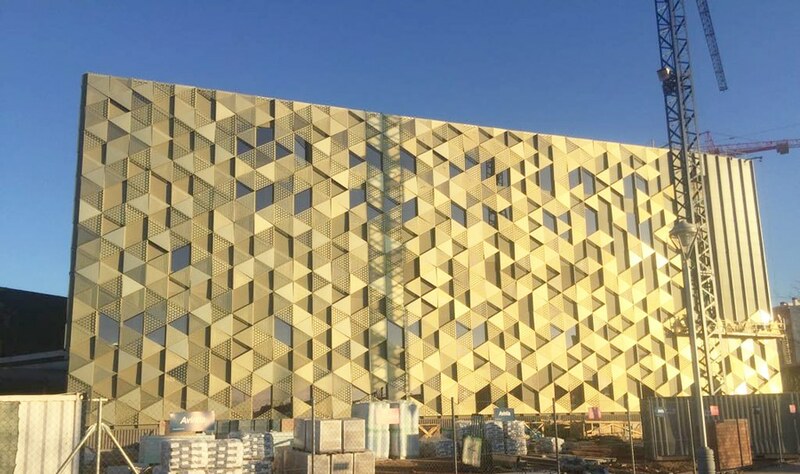 The singular color RAL7002 that the designers request for the exterior face in this case, has also been one of the distinguishing points of the panel to comply with all the marked specifications. In addition, 3,000 m² of internal façades are located in the building, where the same 60 mm thick Microfibre Facade Panel with PHIRE foam core is installed, in RAL1036 singular color on the outside and with a special width of 900mm to get a perfect fit in the proposed design.